the Norwegian polar expeditions than any other man. Adolf Henrik Lindstrøm was of Finnish descent, born in Hammerfest on 17 May 1866. 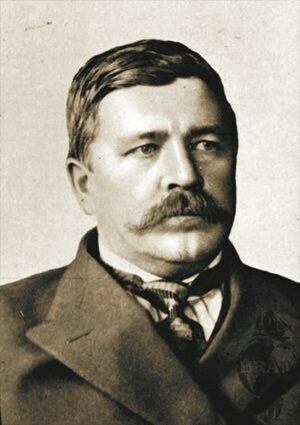 His parents, Johan Hansen Lindstrøm and Marie Mathilde Johannesdatter, moved to Hammerfest from Kemi in Finland. When he was 15 years old he sailed on his first Arctic voyage as a galley boy. Lindstrøm worked as a cook on Fram’s homeward bound journey from Tromsø to Kristiania after Nansen’s first Fram expedition. 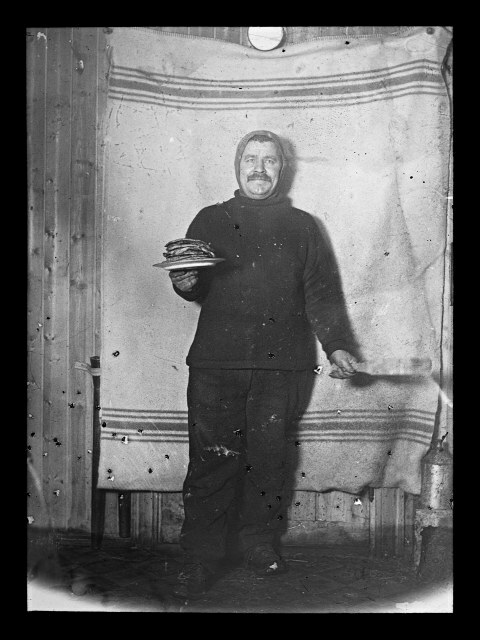 Nansen had asked for a first-class cook to accompany them after spending three hard years in the ice. Lindstrøm was at the centre of ship’s social life: he kept everyone in good spirits by telling jokes and animating the others. And most importantly, he conjured up the most delicious meals. 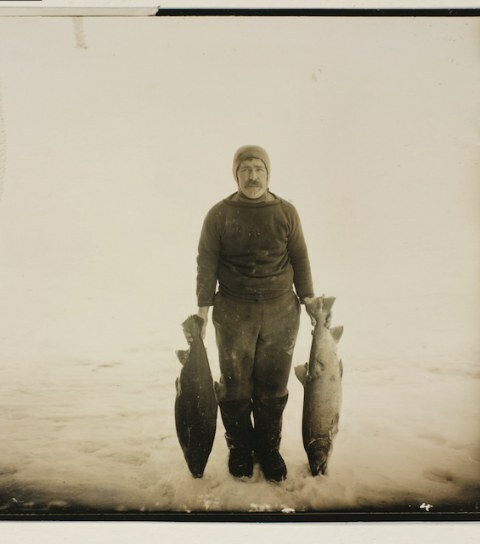 His experience as a cook on fishing vessels in the Arctic Ocean enabled him to make use of local raw materials such as musk oxen, reindeer, sea birds and fish. His food and his social disposition helped to boost the courage of the men serving on board Fram during the four long winters that they spent in the Arctic. On both this voyage and subsequent expeditions in which he participated, Lindstrøm prevented scurvy, caused by a lack of Vitamin C, by using fresh produce and frozen cloudberries. In addition to making food he was also an eager collector of plants, rocks and bird skins. Lindstrøm worked as a cook on Fram’s homeward bound journey from Tromsø to Kristiania after Nansen’s first Fram expedition. 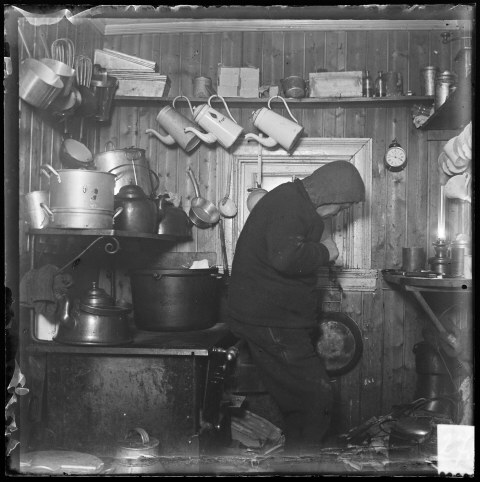 Nansen had asked for a first-class cook to accompany them after spending three hard years in the ice. 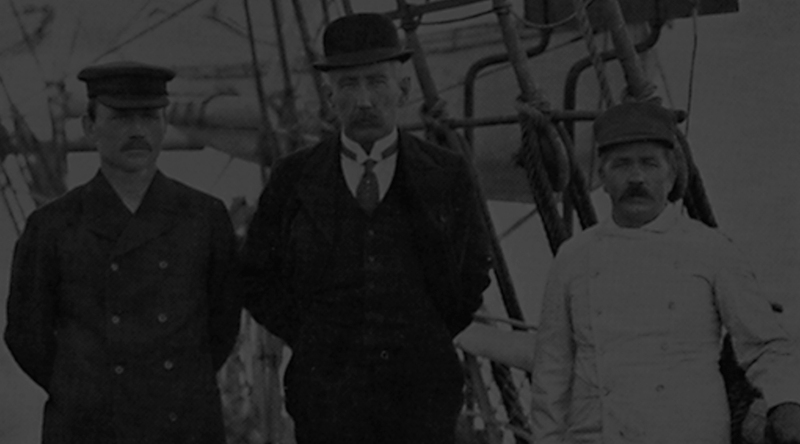 Lindstrøm participated in the second Fram expedition in 1898-1902 led by Otto Sverdrup. He was also a member of the Gjøa expedition in 1903-06 when Amundsen sailed through the North West Passage for the first time. On 14 December 1911 Roald Amundsen and his four men planted the Norwegian flag at the South Pole. They returned to Fram and Lindstrøm on 26 January. By that time Lindstrøm had been alone for 99 days. 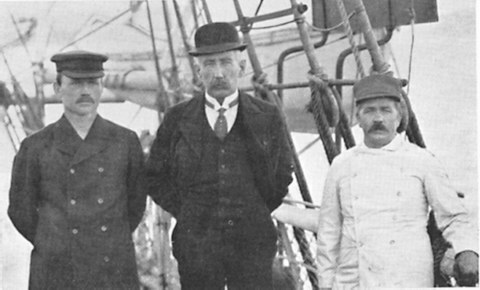 Lindstrøm remained on board Fram until the expedition returned to Norway in 1914. He was awarded the South Pole Medal for his efforts. After 72 hours at home he signed up to join Sverdrup’s Russian rescue expedition on the Eclipse in 1914-15. 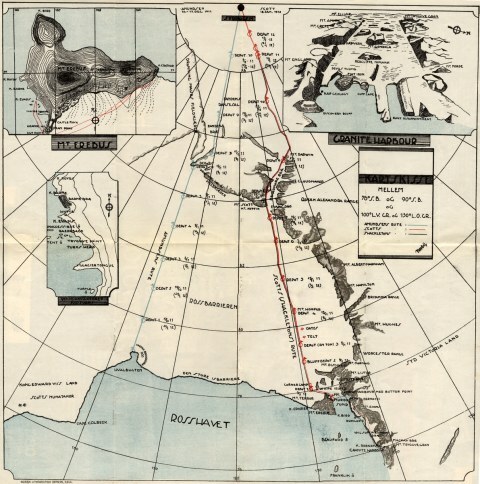 This expedition succeeded in finding 40 exhausted Russians after making a 275 km long sledge trip away from the ship. Lindstrøm also participated in Consul Jonas Lied’s expedition to the Jenissej River in 1916. They had been tasked with laying depots for Amundsen and obtaining Siberian huskies. He was supposed to have been on Amundsen’s “Maud” voyage, but suffered a stroke on his way to join the ship. His life was not in danger, but he was unable to participate in the expedition. The Friends of Lindstrøm project group has been set up to make people more aware of Adolf Henrik Lindstrøm in Hammerfest, Norway and the world, primarily by putting up a statue of him in the centre of Hammerfest. A statue of Lindstrøm will serve to highlight the identity of Hammerfest as an Arctic town. In the past Hammerfest was the “gateway to the Arctic Ocean”, an identity which should be preserved. Furthermore, Lindstrøm deserves a statue because he is a excellent representative of his Norwegian-Finnish background and of Hammerfest. Almost all of our former Polar heroes have had statues erected in their honour, but there are currently no statues of Adolf Henrik Lindstrøm. 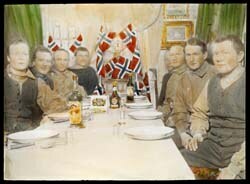 On 17 May 1916 it will be 150 years since Lindstrøm was born in Hammerfest. Håkon Anton Fagerås, an artist, has already been engaged to undertake this task and it is hoped that the statue will be in place in 2016. Fagerås has had many major commissions and has made several statues of Norwegian Polar explorers. Consequently he is very familiar with this subject. The Friends of Lindstrøm project group therefore decided to use him for creating a bronze statue of Adolf Henrik Lindstrøm. There are several versions of beef à la Lindstrøm. The most well known is probably minced beef sprinkled with beetroot and served with fried potatoes and fried egg. Lindstrom was familiar with this version. His own version was much stronger and made from polar bear meat. His recipe can also be safely used to make beef dishes using other types of game such as musk oxen, reindeer, venison and elk. This dish was served at all the Grand hotels in Northern Europe for a long period around the time of the First World War. The beef is tenderised by hanging it up on a hook at room temperature for at least 24 hours. It is then marinated in dark ale for two hours before it is dried and rubbed with salt and pepper. After this it should be fried in a hot pan for 2-3 minutes on each side, depending on how thick it is. Use a frying pan with a lid and allow the butter to stop sizzling before frying commences. When the beef is cooked, put it to one side while you fry some onions in butter until it turns golden brown. Once the onion has been cooked pour the onion and the frying fat over the beef and serve with deep fried potatoes. 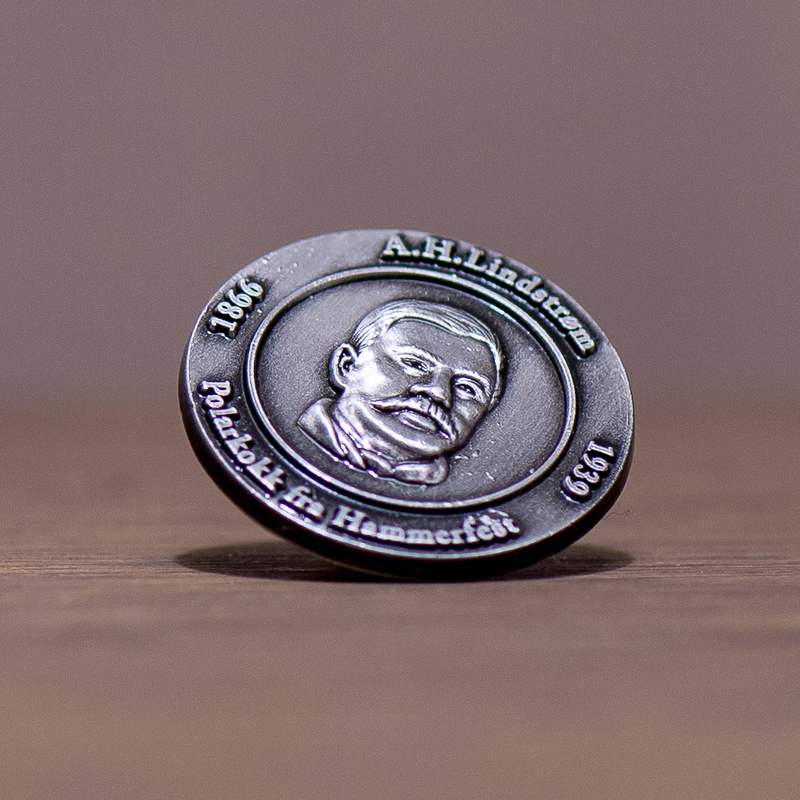 You can also buy the pin here: G. Hagen, Hammerfest Bibliotek and Isbjørnklubben in Hammerfest. Pris: 200 kroner per stk. + frakt.